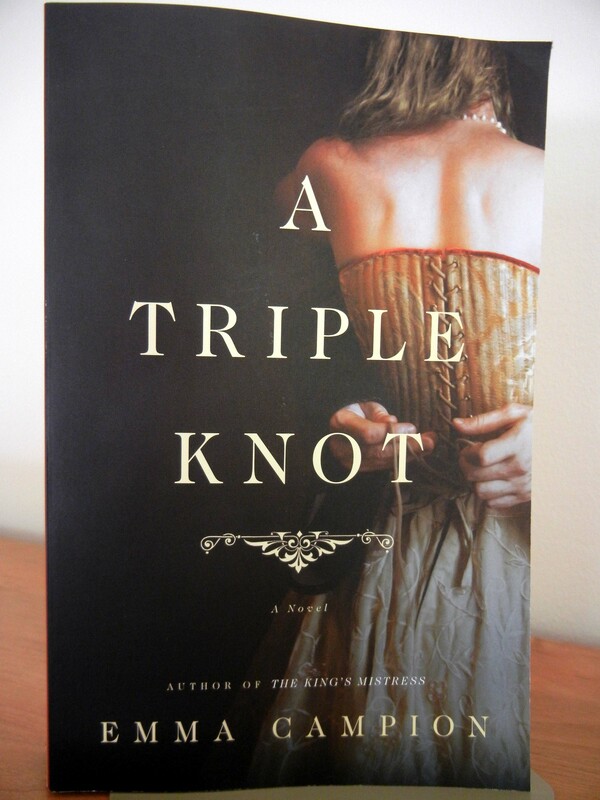 Coming to a bookstore near you in July: A Triple Knot by Emma Campion. I was privileged to receive a galley of this fascinating new book by Emma Campion in which she explores the tangled marriages of Joan, the Fair Maid of Kent. The title, A Triple Knot, is an absolutely perfect description of Joan’s marital complications. Set amid the hardships and uncertainties of the Hundred Years War, this portrayal of a royal ward and of the men who seek to claim her is masterful, sweeping the reader into a high medieval world that is both gracious and grim. Brilliantly imagined, Campion’s novel is a complex and ravishing blend of history, intrigue, scandal and romance. In other words, a perfect summer read. This entry was posted in Books and tagged A Triple Knot, Book Review, Emma Campion. Bookmark the permalink.